You are the "maestro" at photographing textures! Great textures; also like the bit of grass growing through the bark! Good eye to find this. Well done. 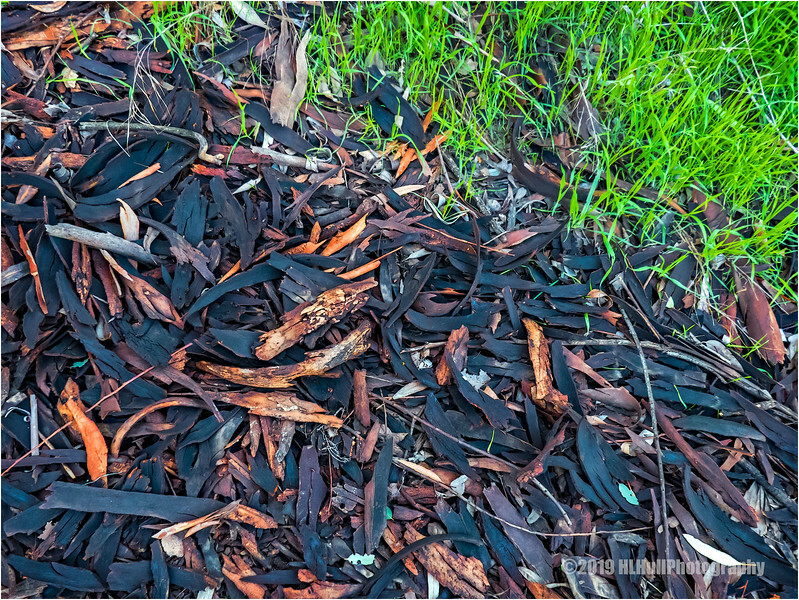 Great colors in these bits and pieces of eucalyptus bark, especially right next to the new bright green grass shoots. It's go to be a saw mill, nice shot.